Electrochemical nucleic-acid-based biosensing strategies involving the use of nanoparticles as electrode modifiers and as advanced labels are attractive options for the determination of substances that are relevant clinically, from an environmental perspective, and to food analysis, as these strategies are able to overcome some of the well-known limitations of conventional methodologies for routine applications. In this article, we provide a selective overview of current strategies for nucleic acid electrochemical biosensing based on nanoparticles, in order to demonstrate the relevance and potential of these strategies to readers familiar with this field and to non-experts. 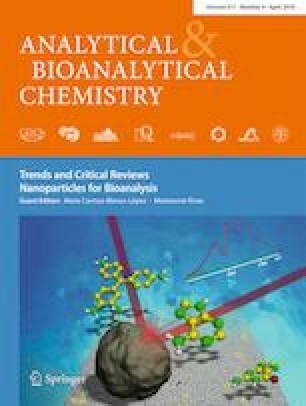 The benefits provided by the use of nanoparticles, including enhanced analytical performance of the resulting electrochemical biosensors, as well as the main challenges to be solved and potential future advances in this field are discussed. The financial support of the CTQ2015-70023-R and CTQ2015-64402-C2-1-R (Spanish Ministerio de Economía y Competitividad Research Projects) and S2013/MT3029 (NANOAVANSENS Program from the Comunidad de Madrid) are gratefully acknowledged. No humans are involved in this study. Du X, Zhou J, Li XM, Xu B. Self-assembly of nucleopeptides to interact with DNAs. Interf Focus. 2017;7. https://doi.org/10.1098/rsfs.2016.0116. Iglesias-Mayor A, Costa-García A. Nanomaterials as electrochemical labels for biosensors. Curr Trends Biomedical Eng Biosci. 2017;5. https://doi.org/10.19080/CTBEB.2017.05.555664. Liao F, Wan L, Wei G, Peng H, Fan H. A new electrochemical DNA sensor for sequence-specific DNA detection based on DNA-functionalized CdS nanoparticle. MATEC Web Conf. 2016;67:01002. https://doi.org/10.1051/matecconf/20166701002. Shi P, Zhan Y, Yu Z, Zhang SS. Label-free electrochemical detection of ATP based on amino-functionalized metal-organic framework. Sci Rep. 2017;7:6500. https://doi.org/10.1038/s41598-017-06858-w.